It’s late in the day when we arrive at the ferry ticket office and negotiate our tickets. 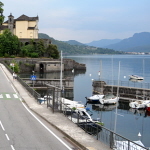 There are three Borromean Islands on Lake Maggiore and at some point we’ll be visiting them all. But for now all we want is a ticket to Isola dei Pescatori where we’ll be spending the night and possibly going on a night fishing jaunt with a local fisherman. The ferry is comfortable and airy; an easy way to travel. Even though the lake is a bit choppy, there’s not much sway. Lake travel is good for people who suffer from seasickness at the least ripple. There aren’t many other people on our ferry. The last sails around 6pm, less than an hour away. At this time of day not many tourists make the trip, especially not on the local ferry. Most do it earlier in the day on excursions using specially chartered boats. It’s a system that works well as it leaves the ferries free of large groups who’d dominate otherwise. 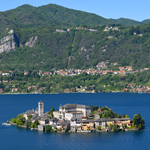 We draw close to Isola dei Pescatori and its diminutive size is rammed home. Under 400 metres longs and barely 100 metres wide, it’s smaller than any island we’ve stayed on previously; a lot smaller. Apart from one end where there is a small park area, nearly every inch is covered in buildings. We don’t know where our hotel is, but on an island this size we don’t anticipate any problems finding it. The ferry docks and we’re welcomed to Isola dei Pescatori by a female ferry worker who wears her uniform with cocky aplomb. As ferry workers go she’s the most seriously chic I’ve seen – thanks in part to the addition of huge sunglasses and little black ankle boots. She has the look of an Italian Lady Gaga. I like her style. 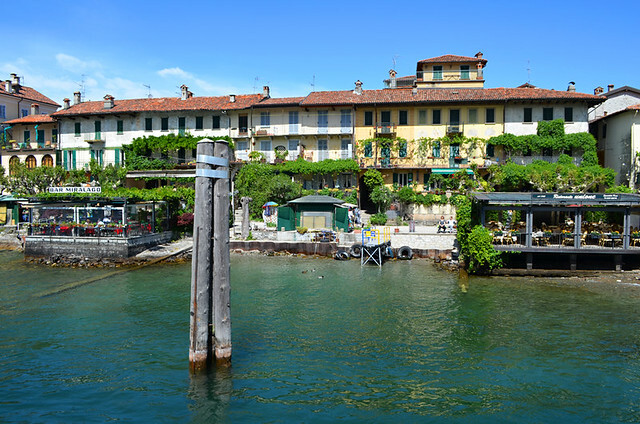 Isola dei Pescatori is even more beautiful than we expected. The seafront is populated by small stalls and restaurants aimed at day-trippers, most of whom have left. It immediately feels special to be ariving as the last visitors are departing. As expected, we find the Hotel Belvedere without any problem and are shown to a sunny corner room that fits the feel of the island perfectly. The views are such that there’s a temptation to just open a bottle of wine and sit and stare, especially as there are louvre doors on the bathroom so you can recline in the bath, glass in hand, to luxuriate in the vista across the lake. Instead we head to the bar/dining room and order a beer from Diego, who seems to be the master of all trades in the hotel. When Diego hears my Scottish accent his already excellent English takes on a disconcerting broad Scottish twang. It turns out he spent a lot of time working in Edinburgh. It turns out he knows a lot about Scotland, embarrassingly more than me. It turns out he is a font of local knowledge as well. Diego is a useful man to know. Very quickly we realise that Isola dei Pescatori is no quaint island populated by locals with little knowledge of the outside world. 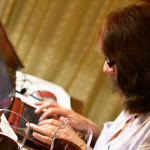 It seems to be a breeding ground for people who have exploration and curiosity in their blood. Beer consumed, we go for a stroll along the seafront and through narrow streets whose shops and restaurants are now closed. The place is deserted apart from a couple of chefs enjoying a pre-dinner smoke, cats patrolling their territory and the odd duck waddling about the place. Some buildings are decorated with tattered nets and ancient buoys. We wonder if they mark the houses of fishermen. They don’t – apparently they’re just discarded fishing apparatus. 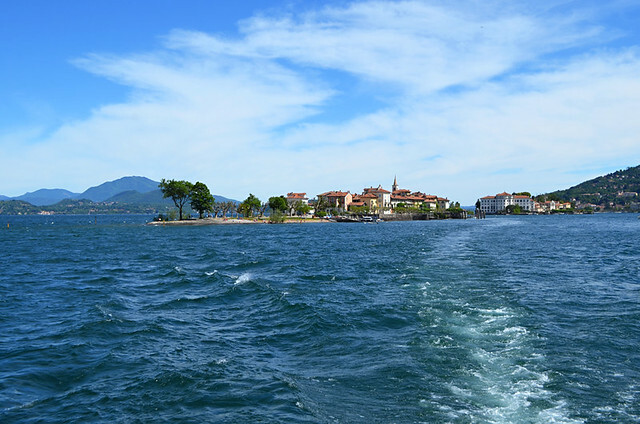 We can see the other Borromean islands on Lake Maggiore. Isola Bella looks stately just a few hundred yards further along the lake. 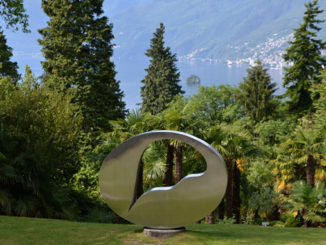 Slightly further away is Isola Madre, the lushest of the trio. We return to the hotel for dinner where we meet the immensely likeable Roberto Maggioni of Maggioni Tourism, who organised this section of our Italian trip. We discover Roberto is also a local lad. He has disappointing news. Choppy waters mean the night fishing trip has been cancelled. 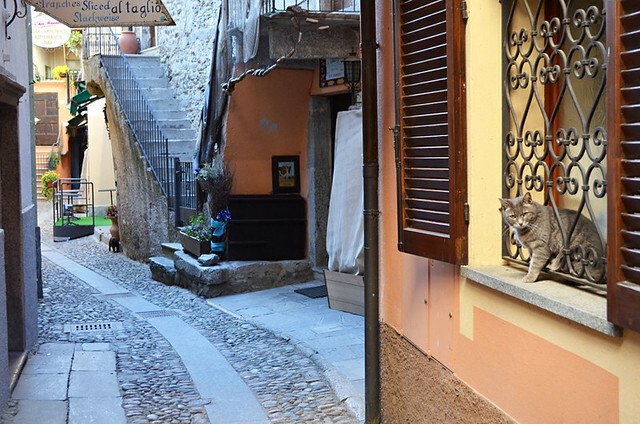 We’re devastated, it was one of the Italian highlights we were most looking forward to. Roberto leaves us to finish a hearty dinner of antipasti, pasta, lake fish with grilled aubergines and finally a light dessert. 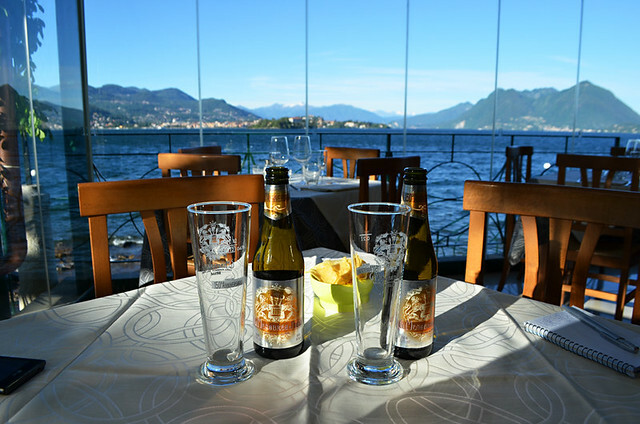 His parting advice is that as we now have time on our hands we must take a look at Isola Bella after dark. Isola dei Pescatori is even quieter after the sun departs, there’s no-one at all on the streets. The lights of Baveno and Stresa twinkle on the water on the mainland opposite; it feels like we’ve completely escaped from the rest of the world. It is rather romantic. The silence is broken by the sound of laughter and clinking glasses in the one restaurant that seems to be open. We hear American voices, a small group who have travelled to the island just to dine. We leave the laughter behind and stroll to a small jetty at the northern edge of the island. The lake is jet black save for a shimmering silver path leading to a moon that is almost full and the illuminated grandeur of the palace that dominates Isola Bella. It is a spellbinding vista and it’s all ours. 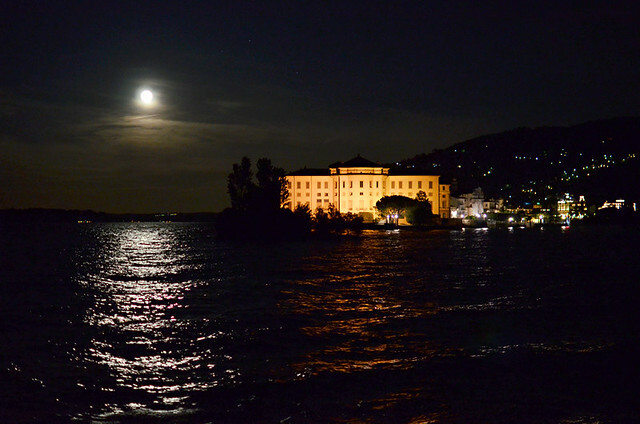 We might have missed out on the night fishing but it meant we could relax and take our time to absorb at leisure an extra special experience… a night where it was easy to imagine we had magical Isola dei Pescatori all to ourselves.